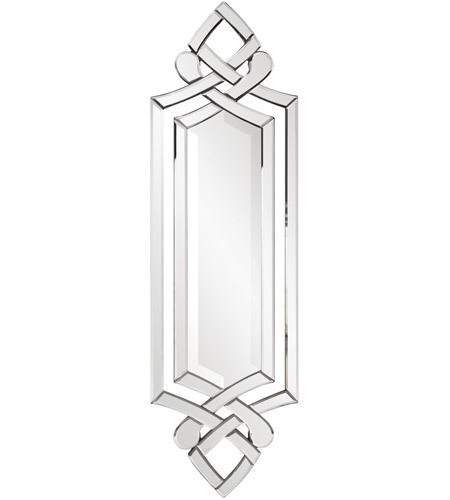 Our Allure mirror has a long rectangular frame composed of intertwined mirrored lines. On its own or in multiples, the Allure Mirror is a perfect accent piece for an entryway, bathroom, bedroom or any room in your home. D-rings are affixed to the back of the mirror so it is ready to hang right out of the box in a vertical or horizontal orientation! 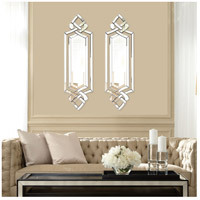 Each mirrored panel on this piece has a small bevel adding to its beauty and style. 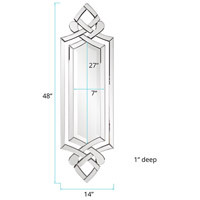 Mirror Size: 7" x 27"
Total Piece Dimensions: 14" x 48" x 1"